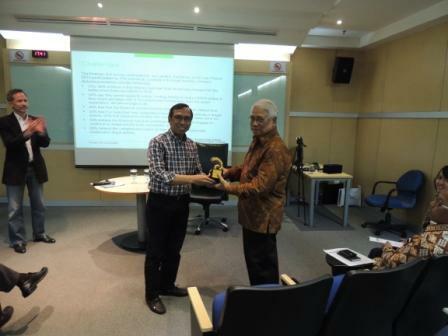 Faculty of Business Management, Binus International University, held a general lecture with Distinguished Guest Lecturer Mr. J. Soedradjad Djiwandono. 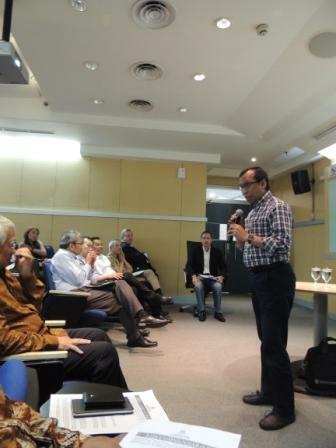 The session was held on Saturday (1/16), 3.00 PM – 5.00 PM at JWC Campus, Senayan. 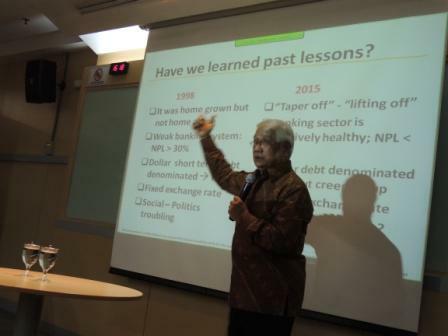 Soedradjad Djiwandono, Professor of IPE, S. Rajaratnam School of International Studies, Nanyang Technological University, brought lecture topic “Facing an Uncertain Future: Some Notes on The Expected Role of Business School for The Enhancement of Indonesia’s Economic Competitiveness in The New ASEAN Community.